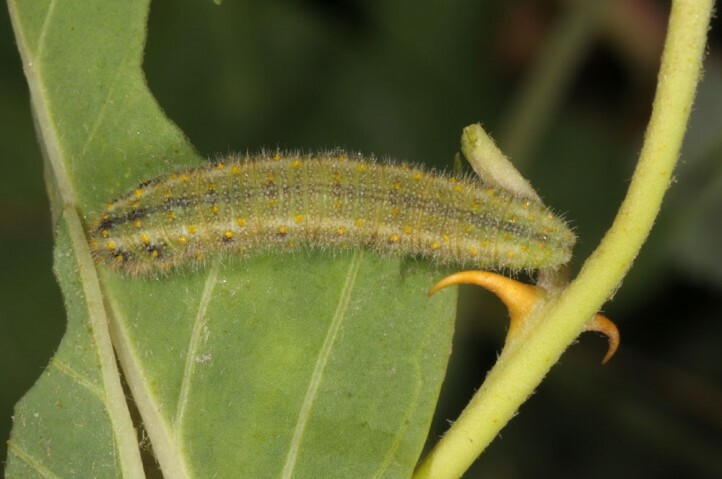 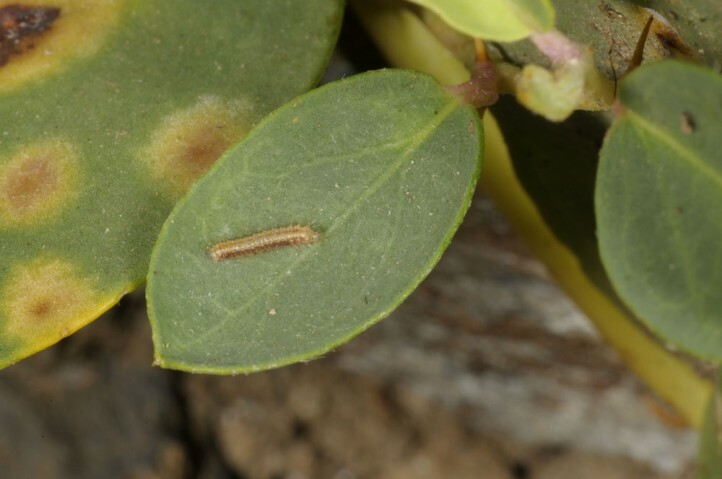 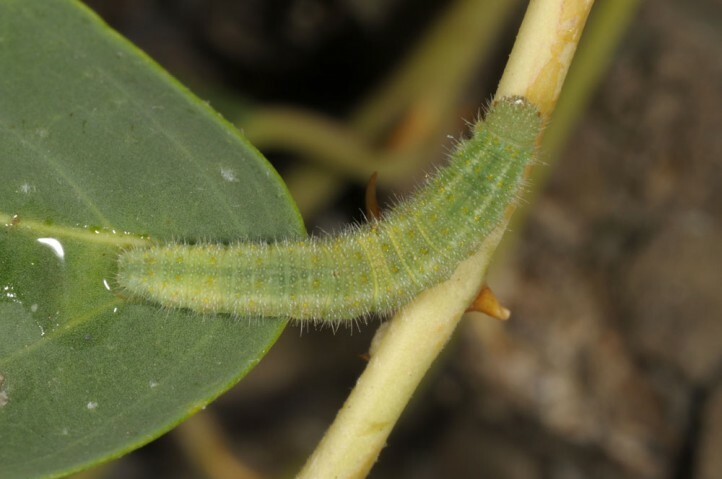 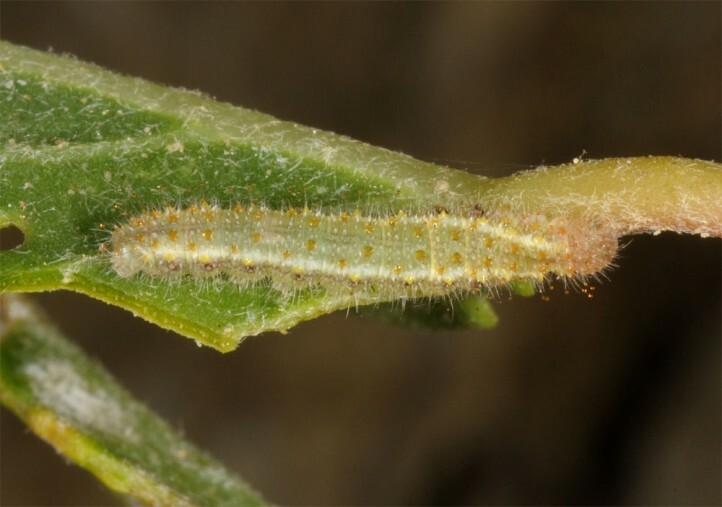 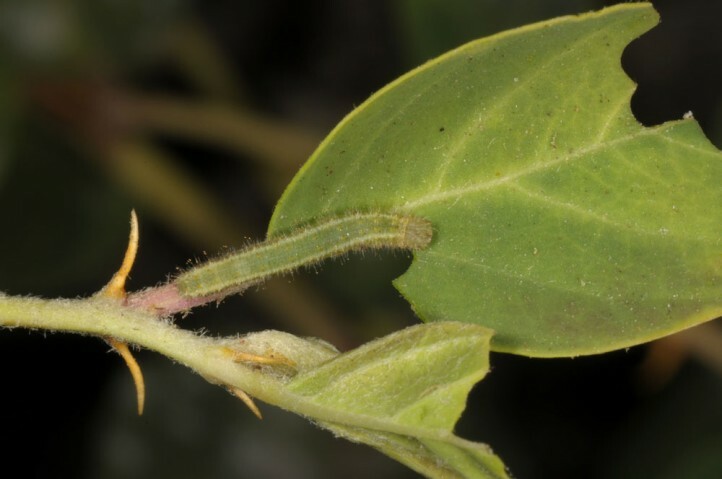 In Spain the larvae feed on Capparis spinosa, in Africa also on other Capparidaceae. 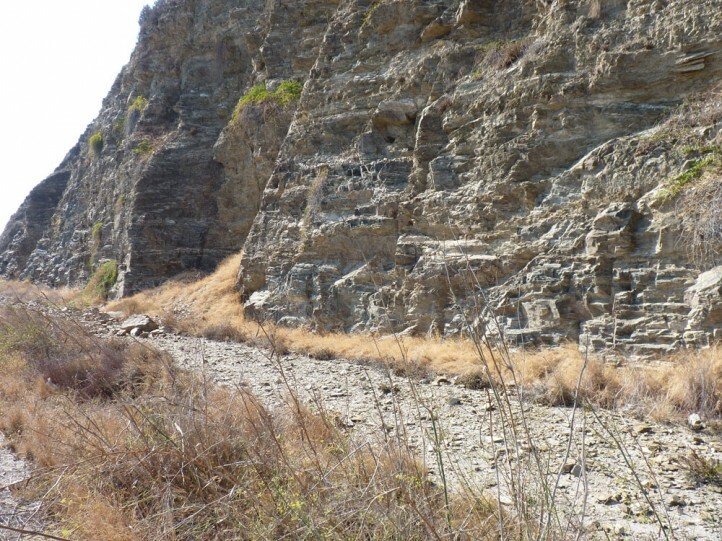 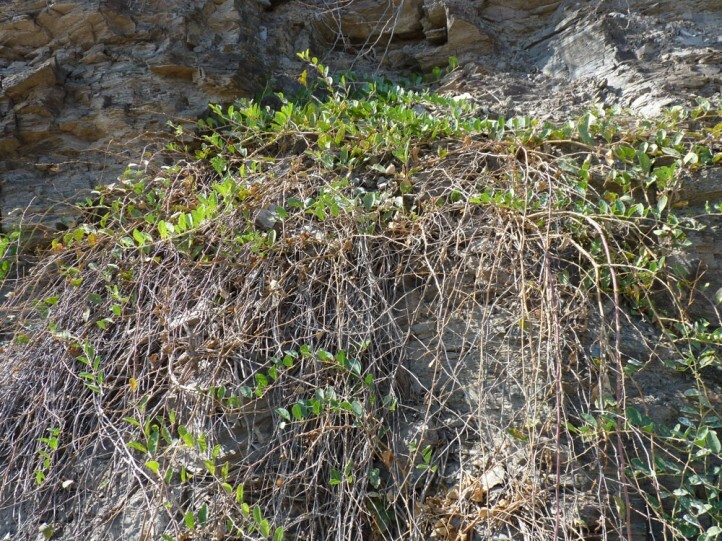 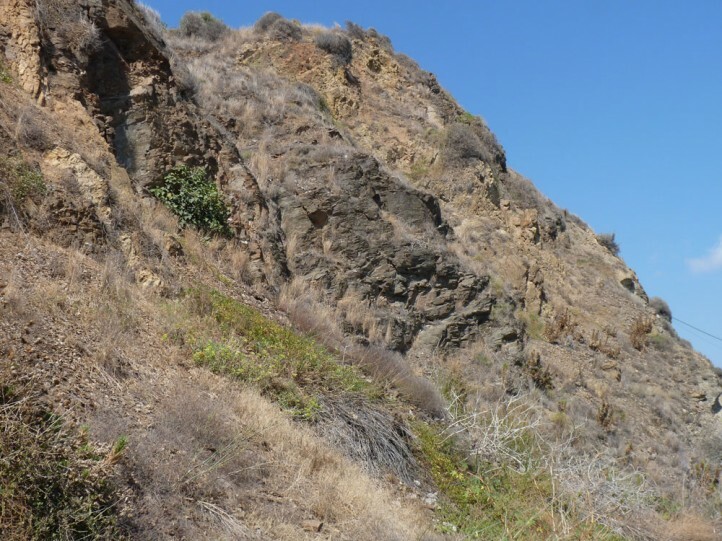 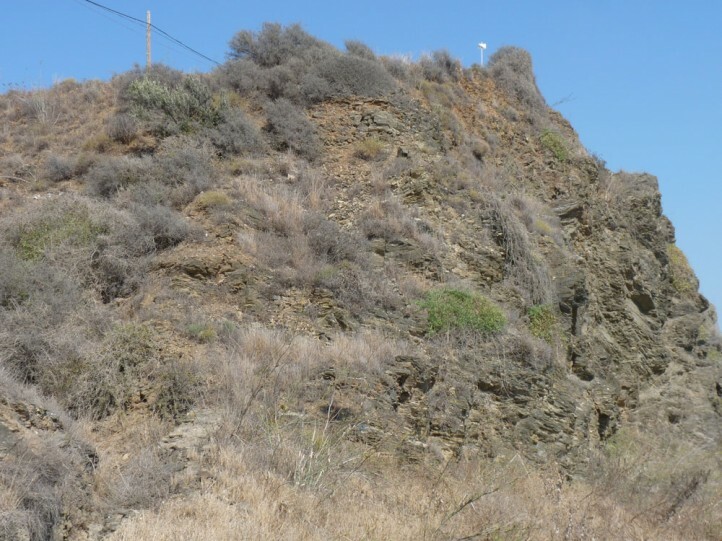 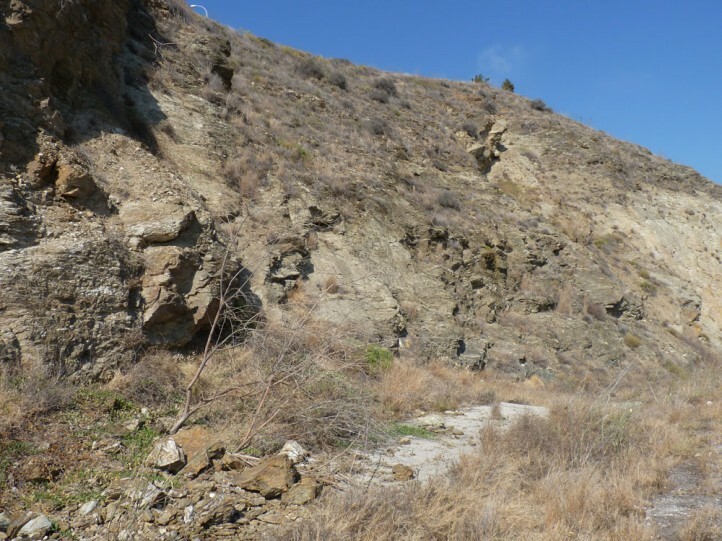 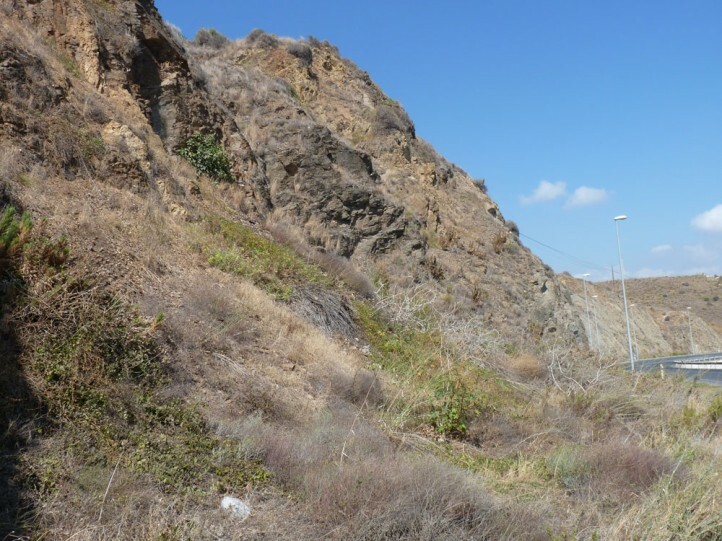 Colotis evagore inhabits rocky slopes, cliffs, embankments and other stony places with the host plant. 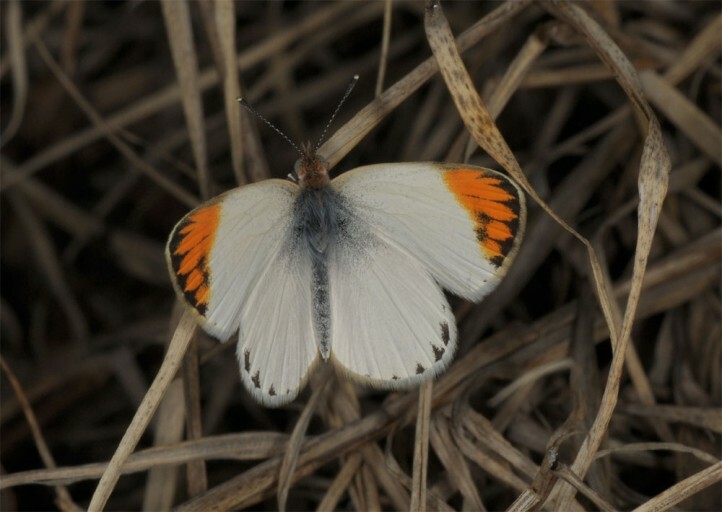 In Europe, it usually lives close to the sea or at least in lowlands. 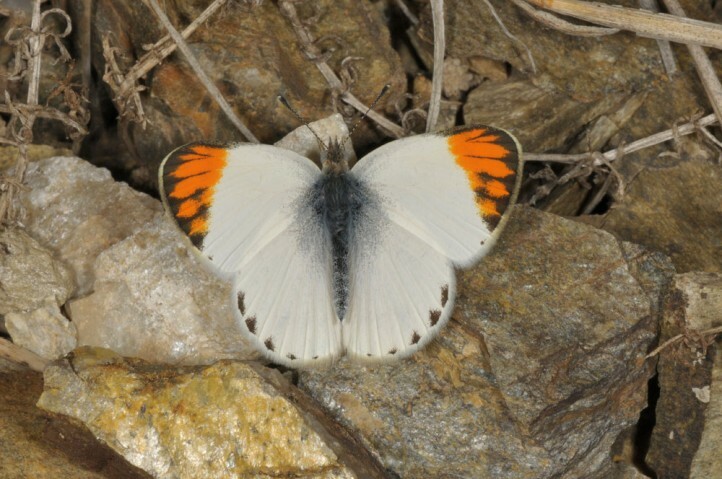 Especially in autumn, Colotis evagore may settle temporarily even in mountainous and/or inland regions. 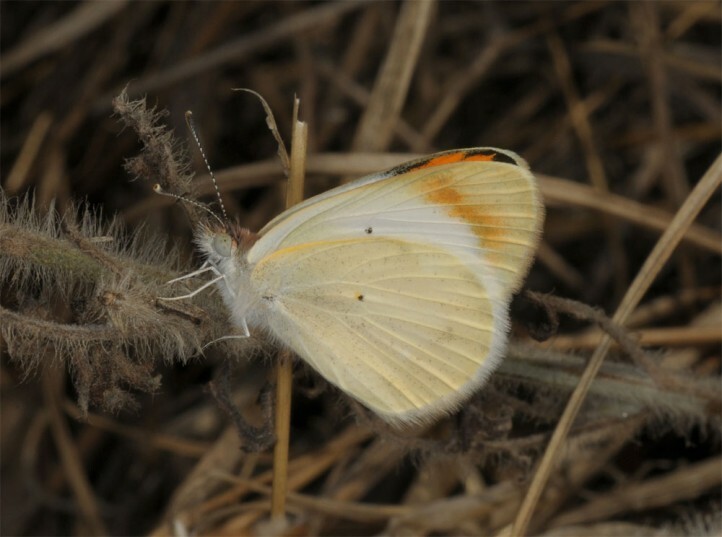 The butterflies can be found almost year-round, because the larvae or pupae cannot enter a dormancy. 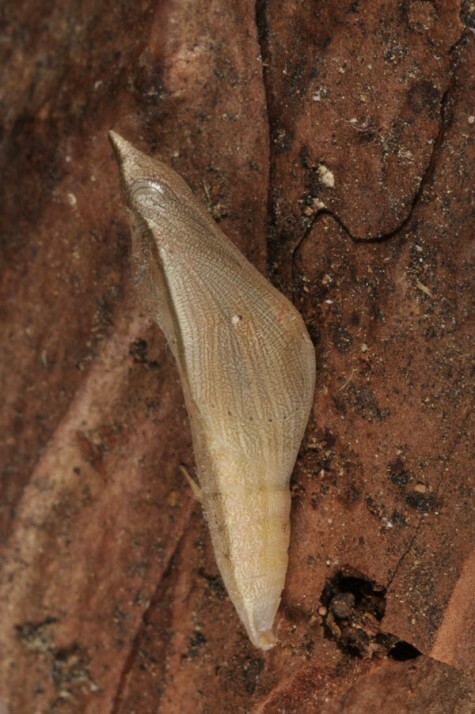 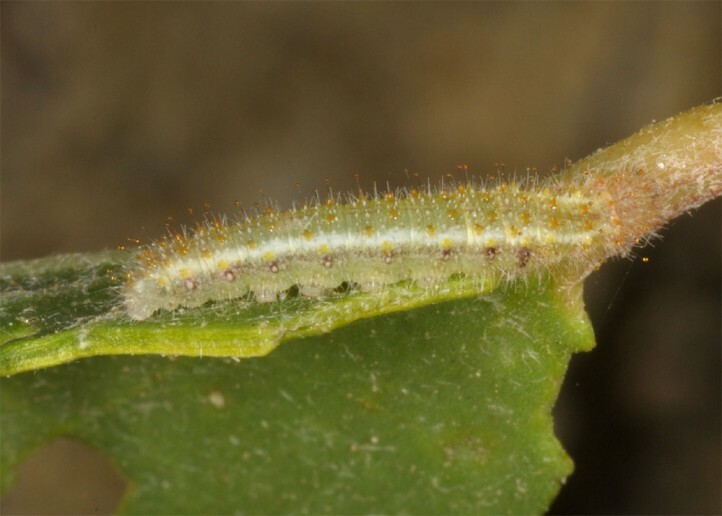 Thus larvae are usually restricted to the warmest regions along the coast in winter. 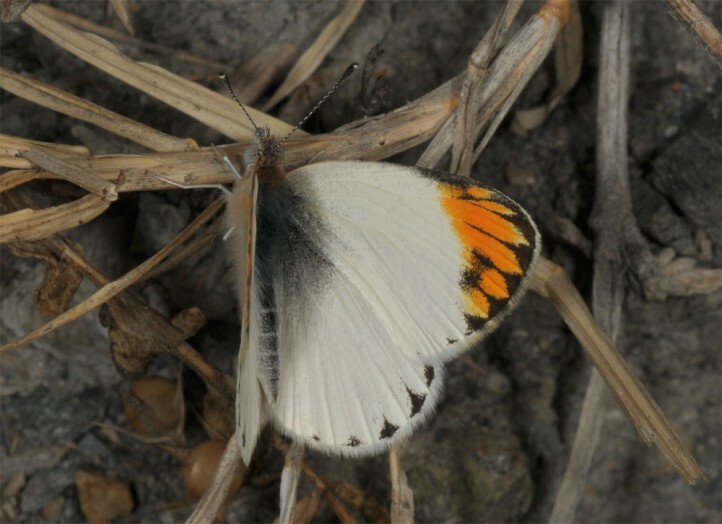 The abundances increase over summer towards autumn. 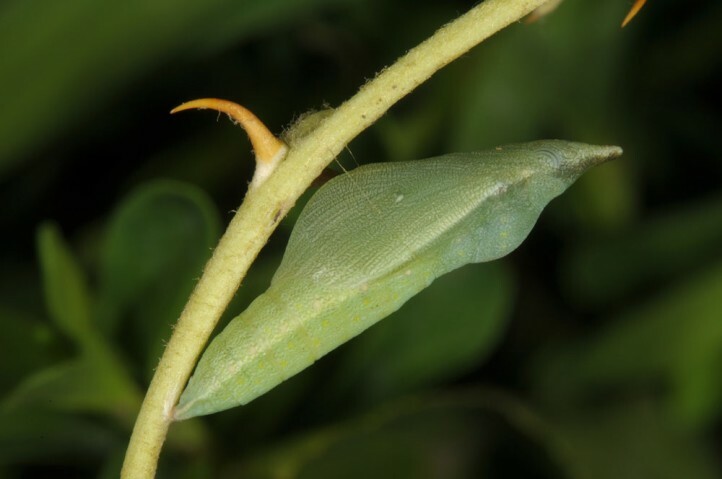 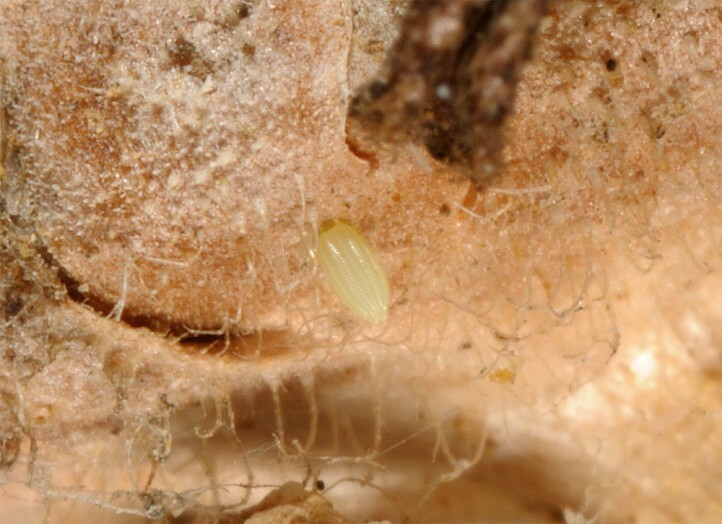 According to own observations the eggs are deposited only rarely on the lower side of the leaves. 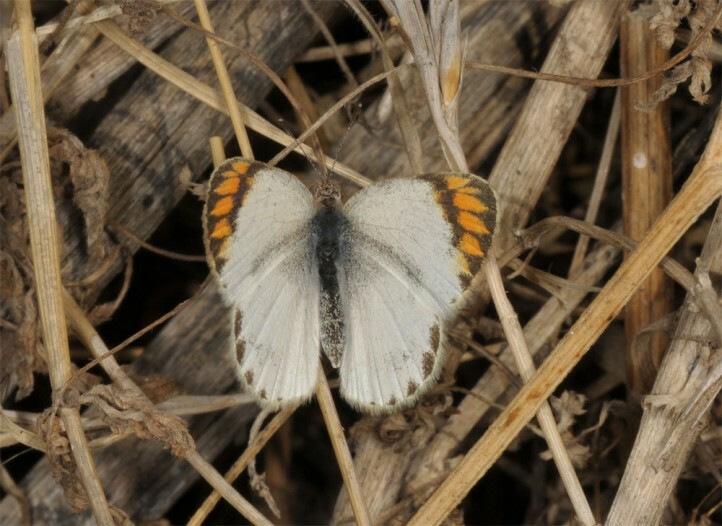 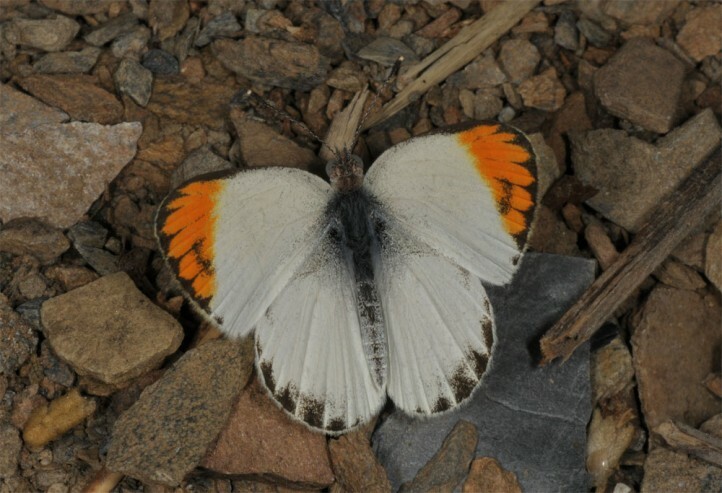 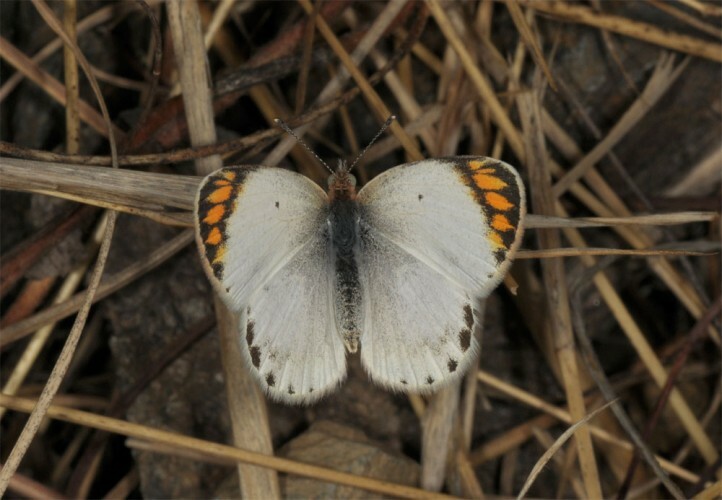 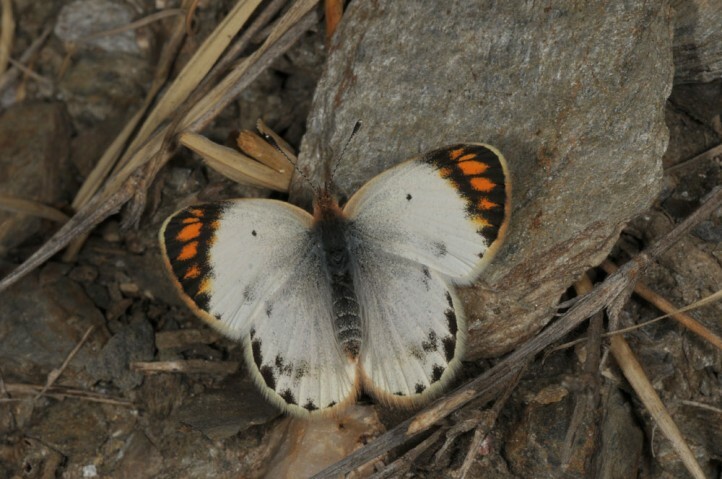 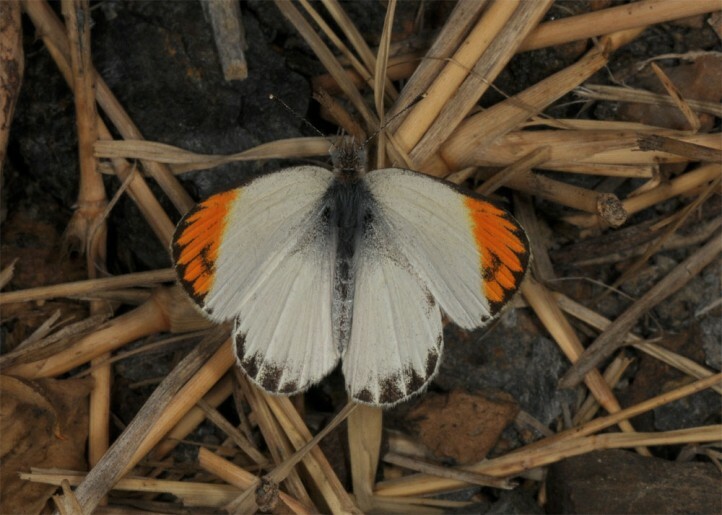 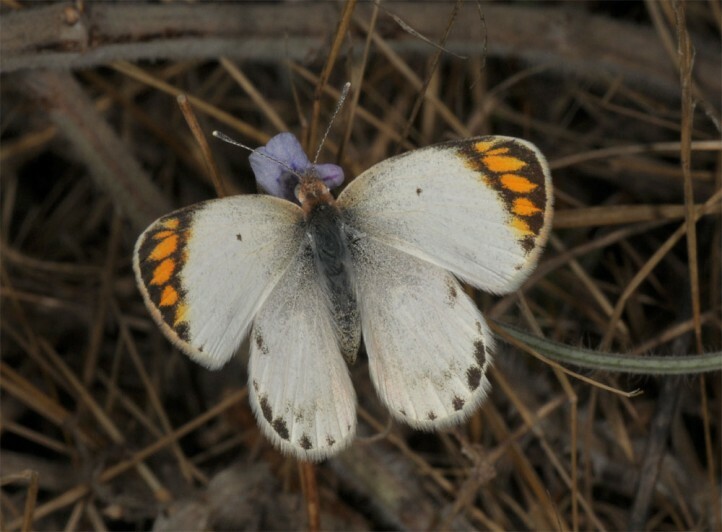 More often the females fly above the Capparis plants and oviposit on dry parts of various plants such as leaves of Lavandula, fruit stands of Asteraceae or dead Capparis stems, mostly between 15 and 50cm above ground. 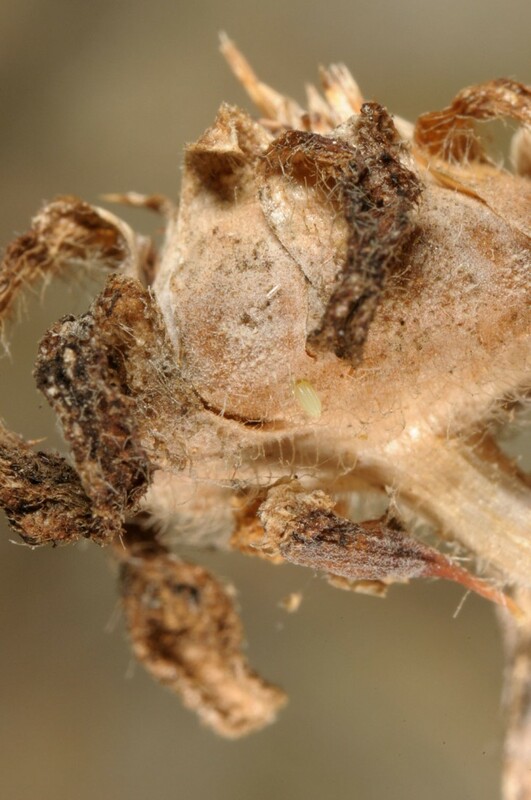 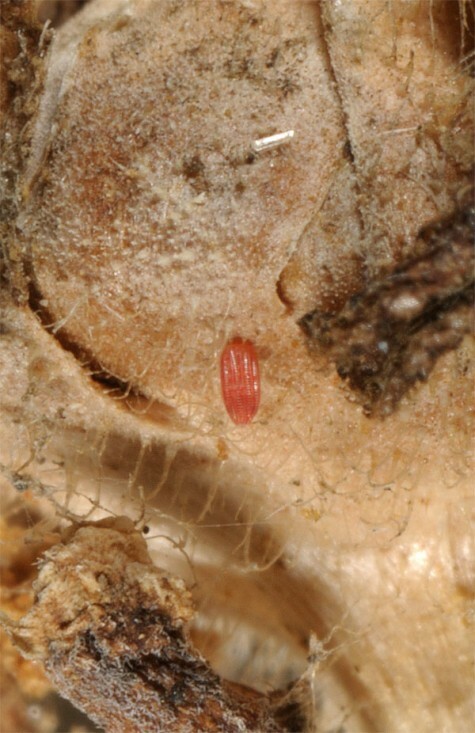 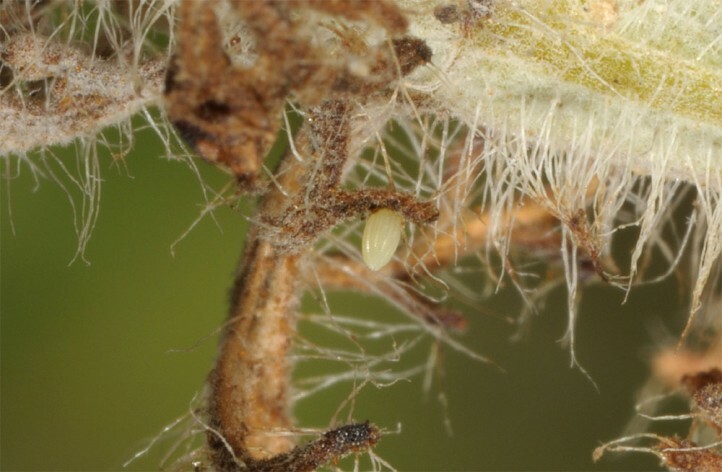 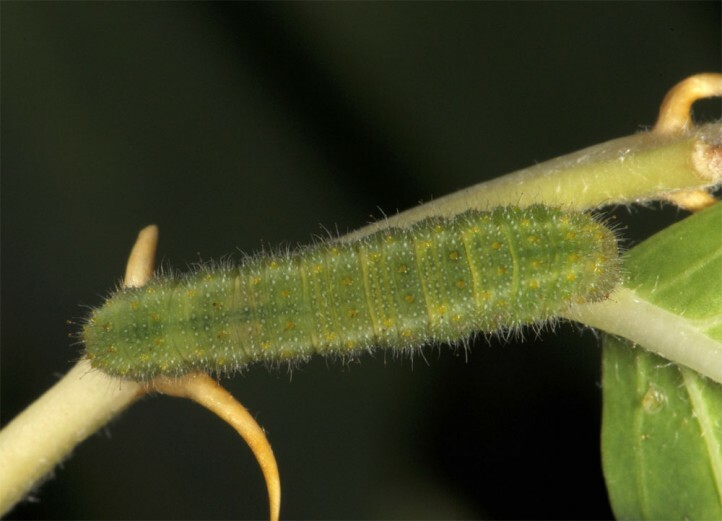 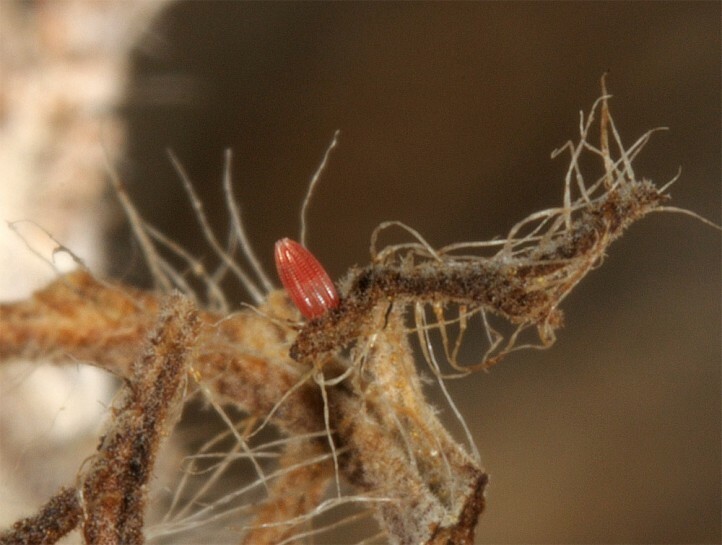 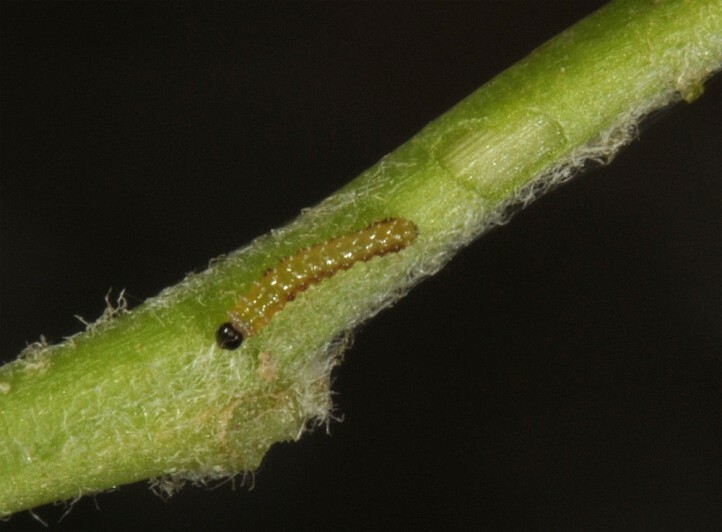 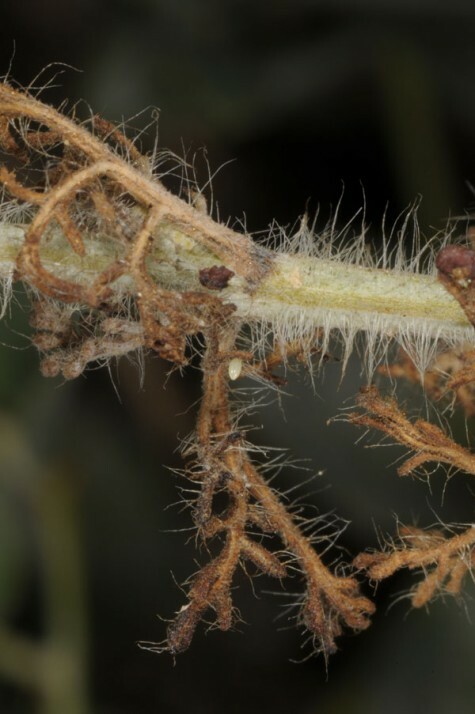 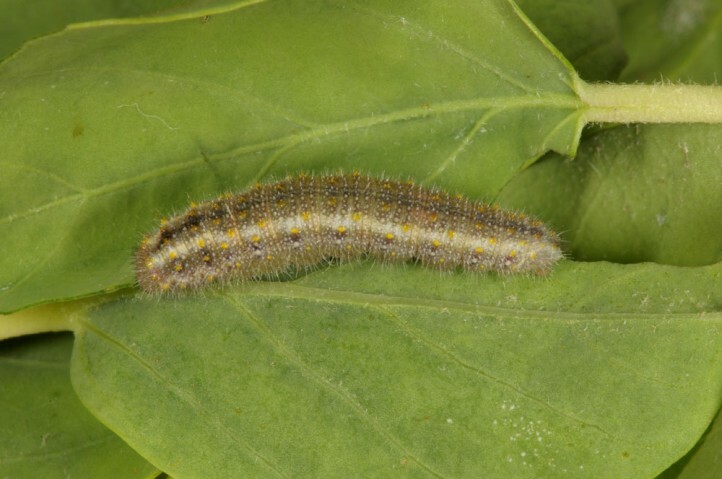 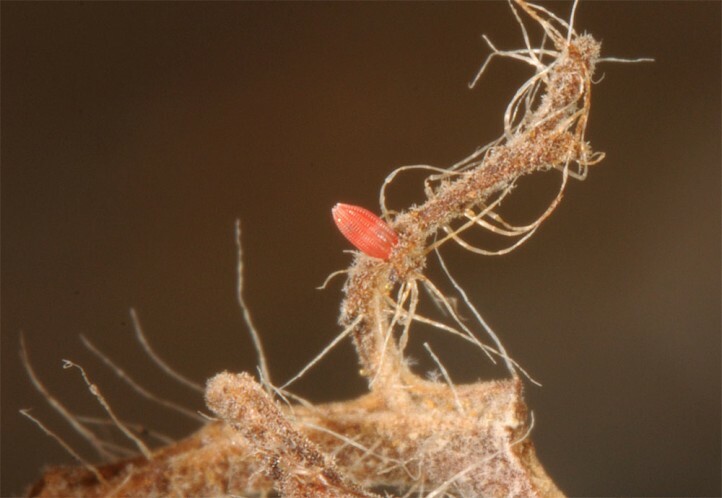 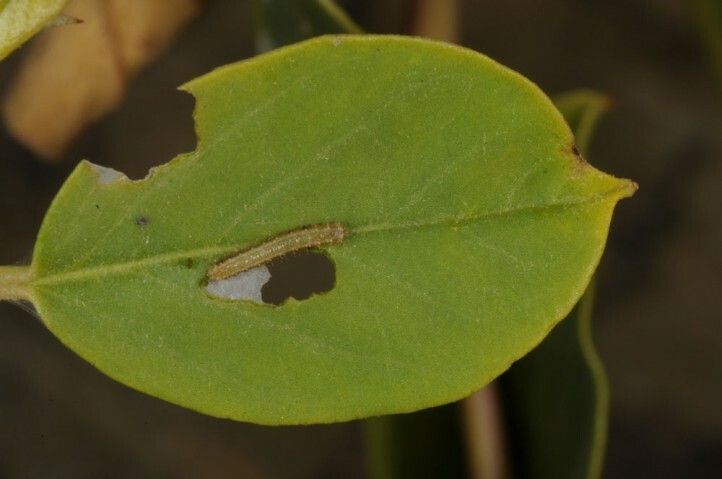 The hatched larvae have to move some decimeters or even meters to reach suitable young shoots of the host plant. 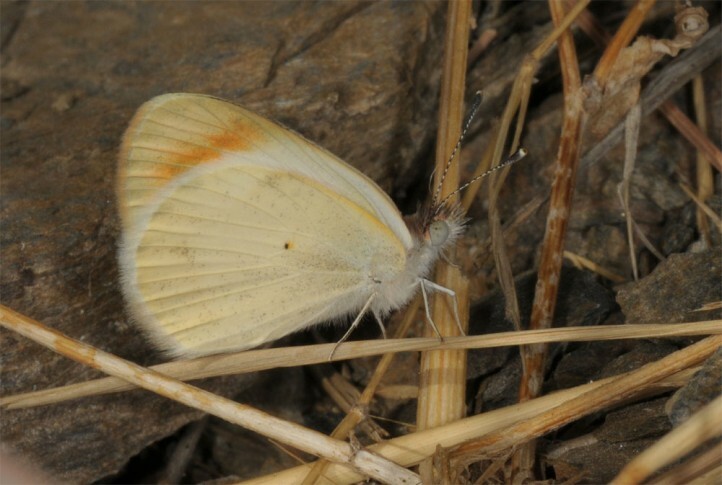 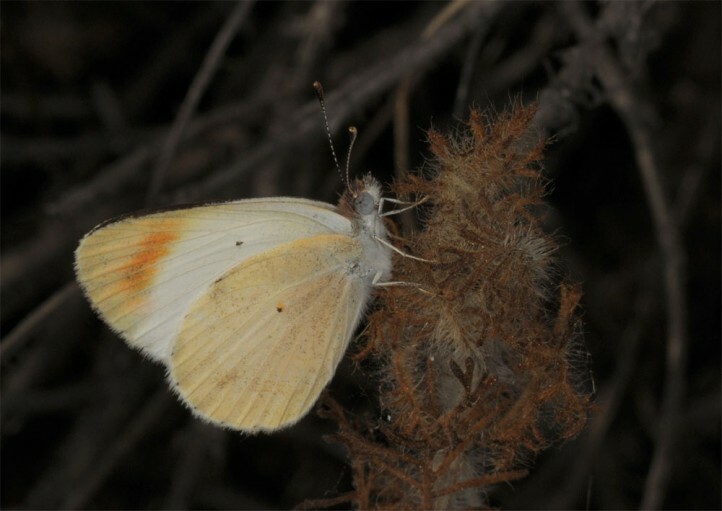 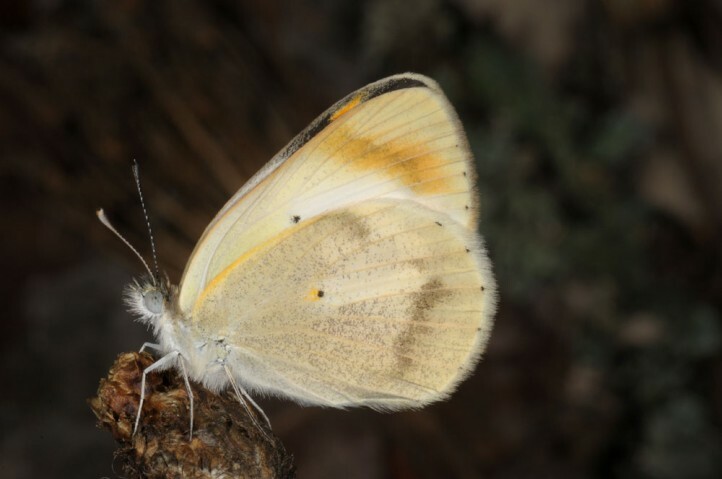 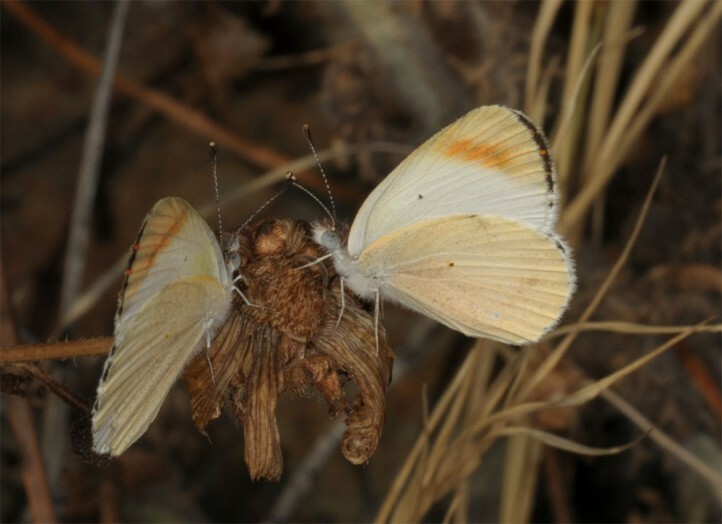 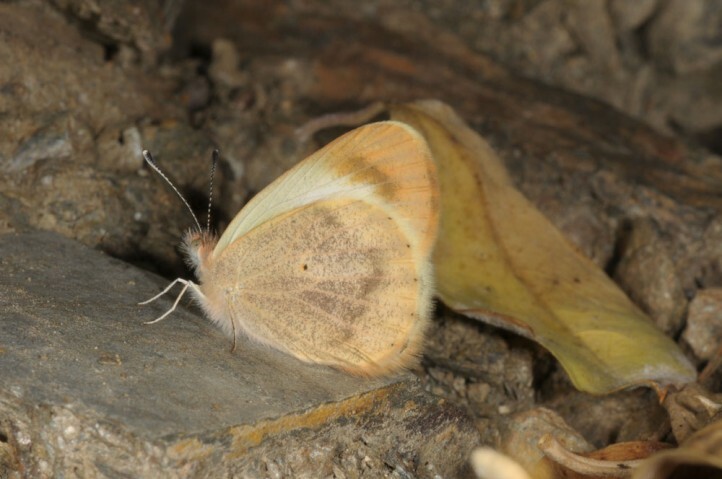 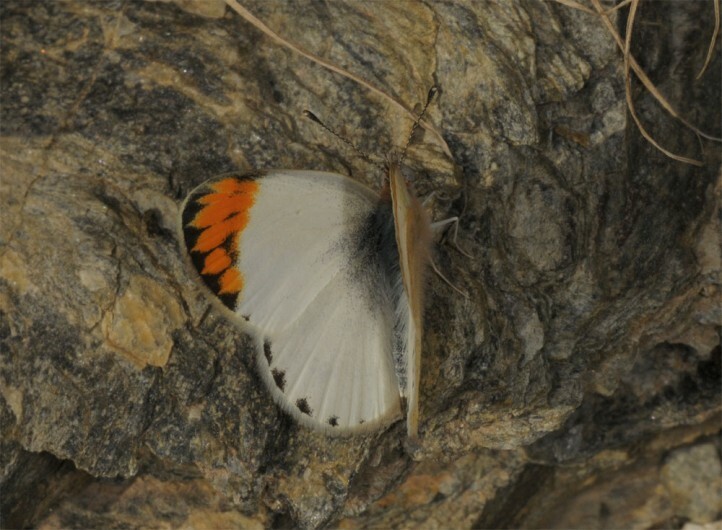 The reason for this way of deposition is presumably that the females want to avoid the great heat near ground for the immobile eggs, perhaps also to make it more difficult for egg parasitoids. 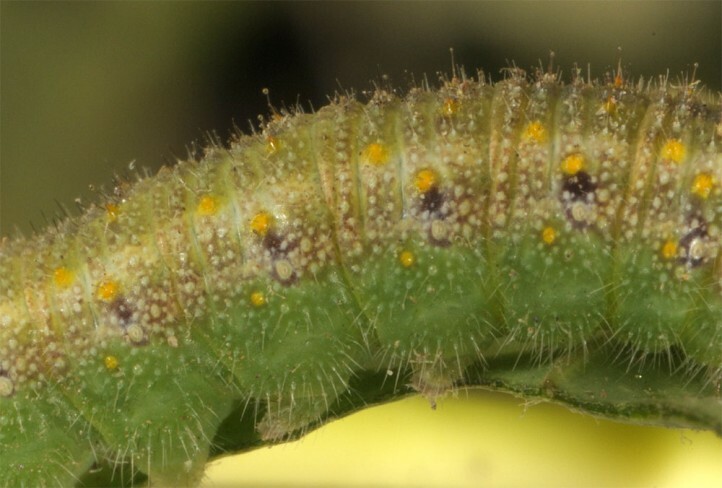 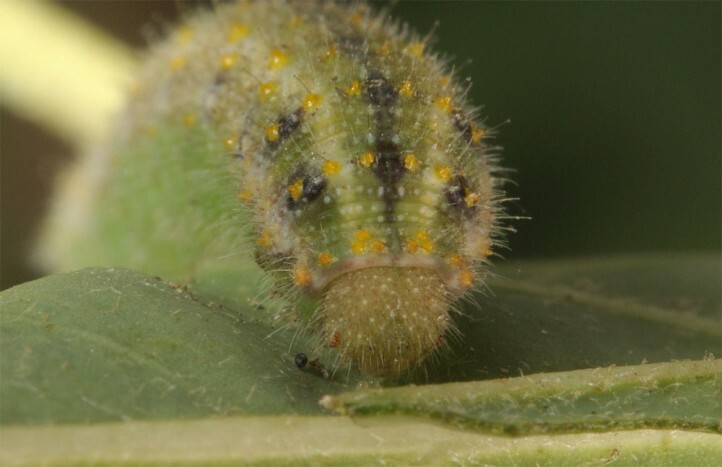 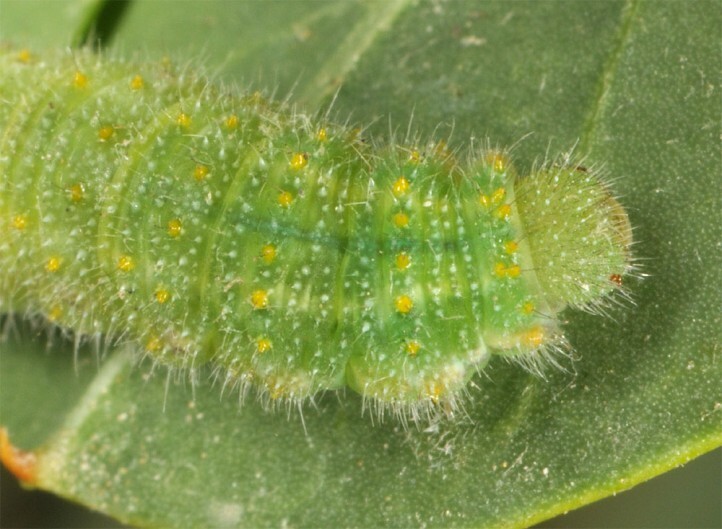 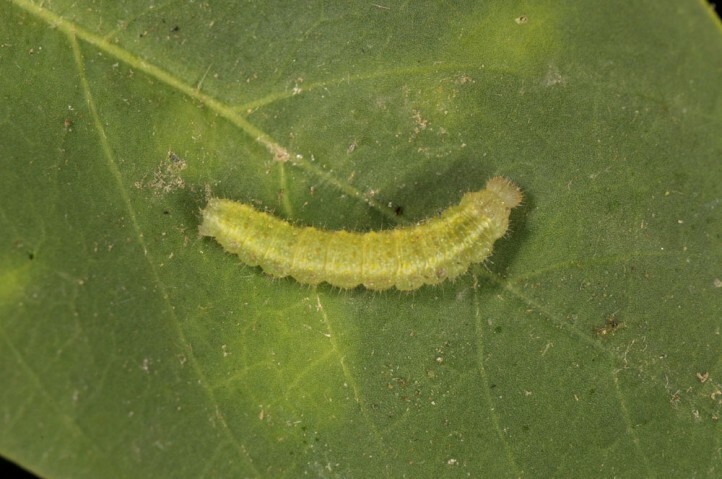 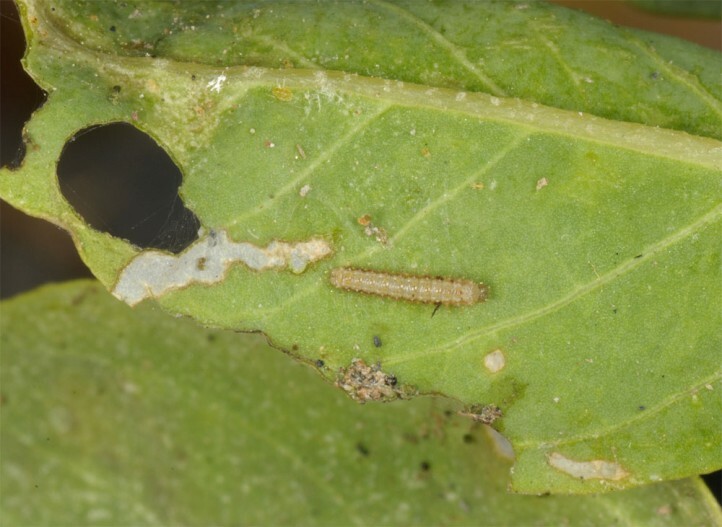 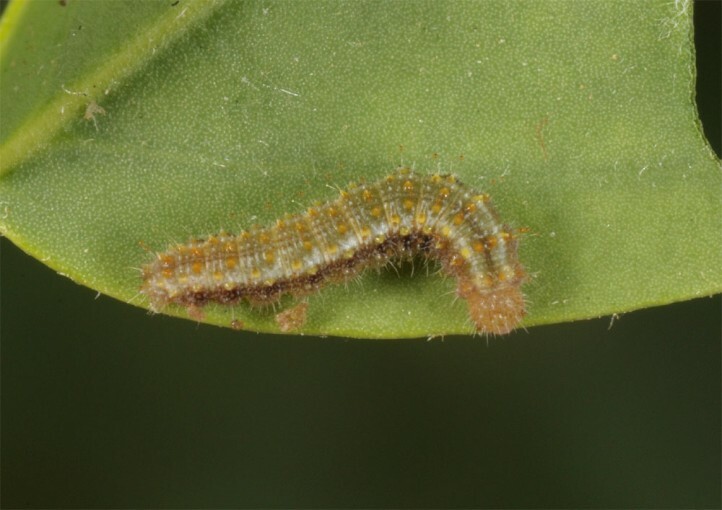 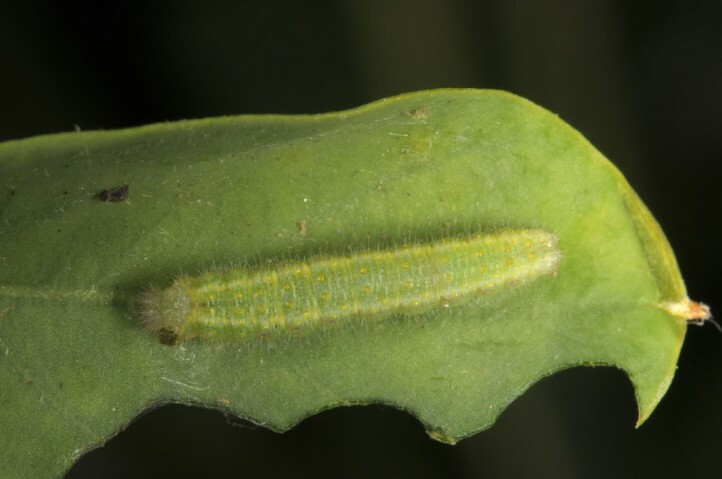 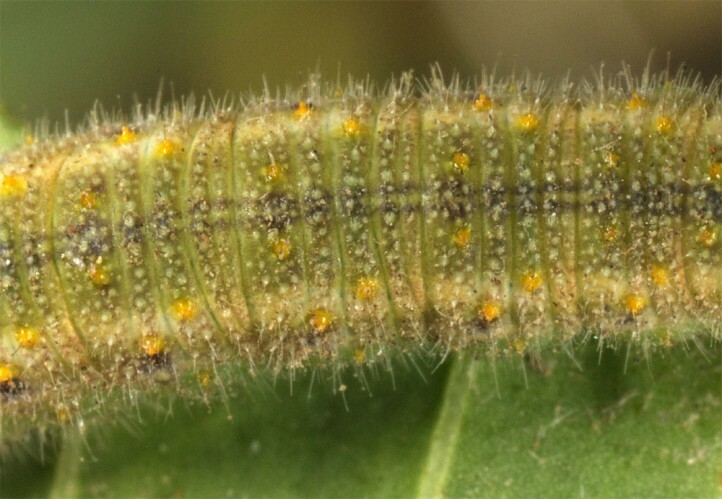 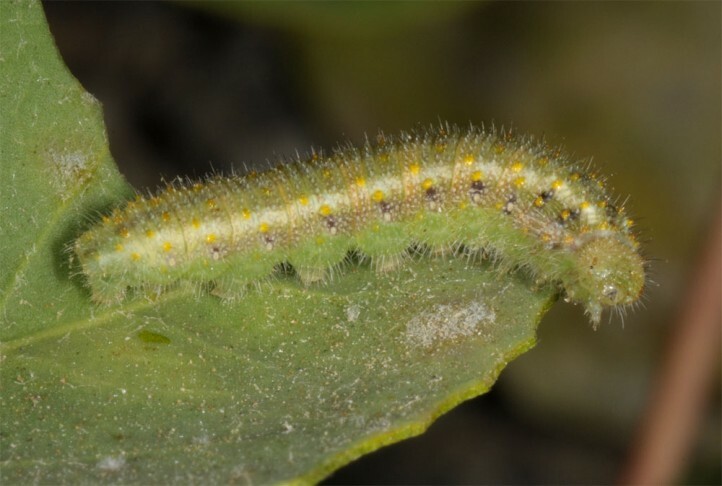 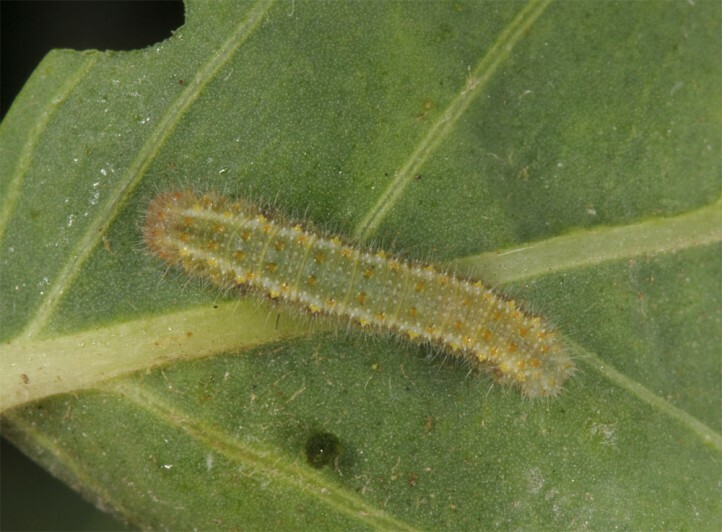 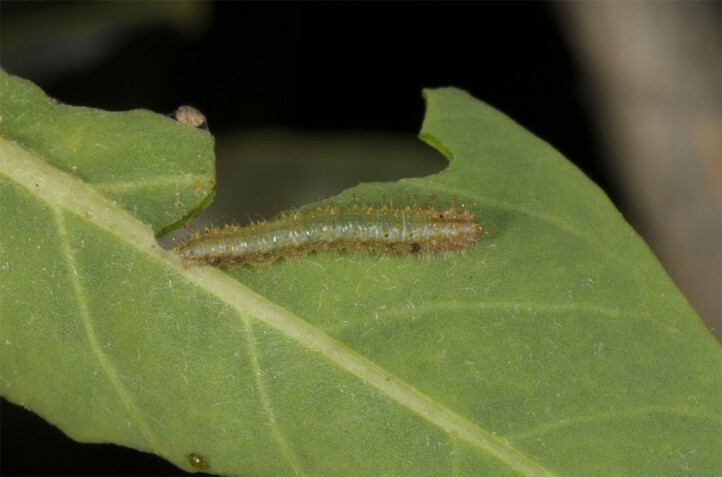 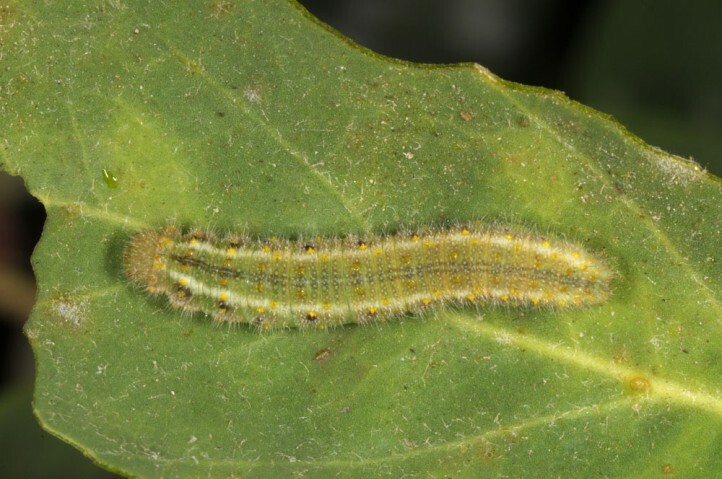 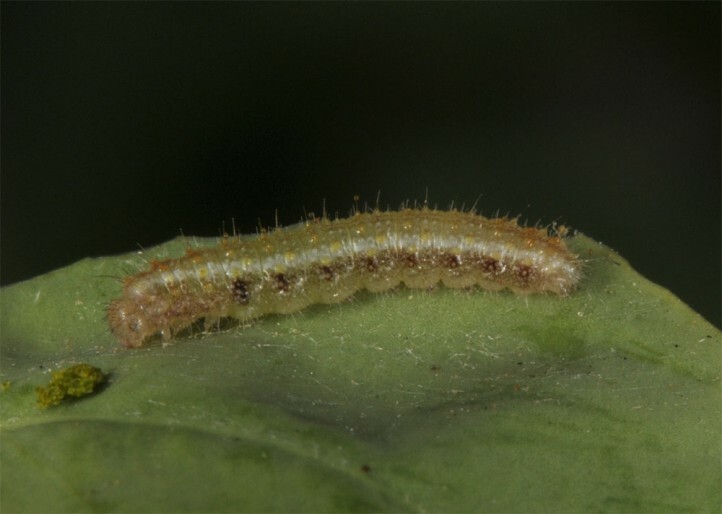 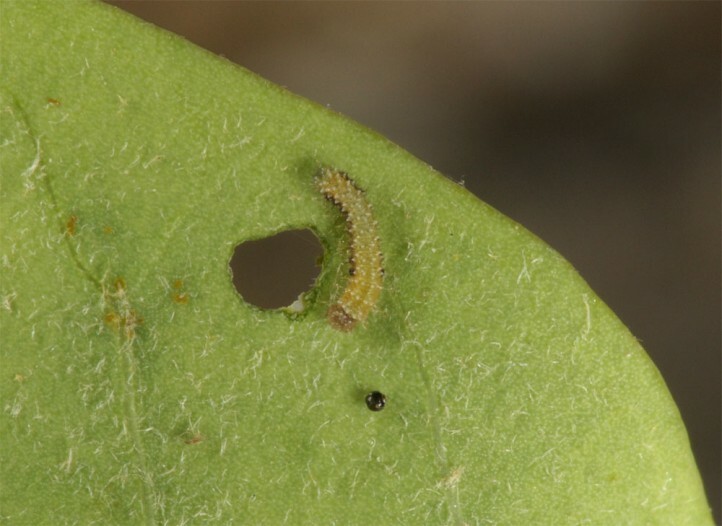 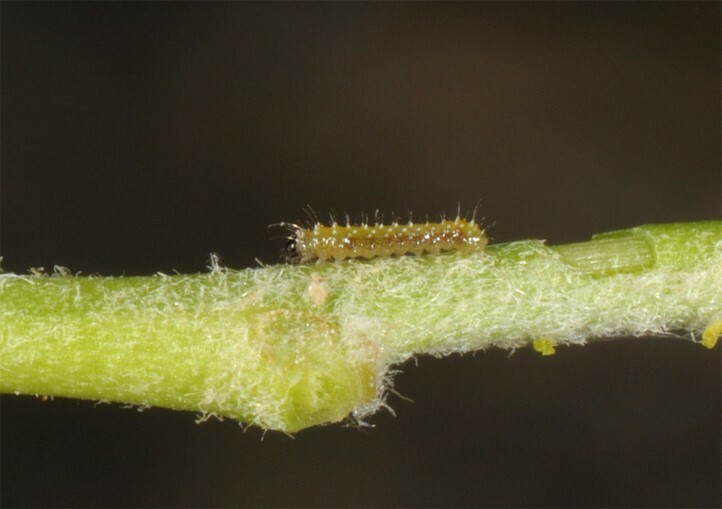 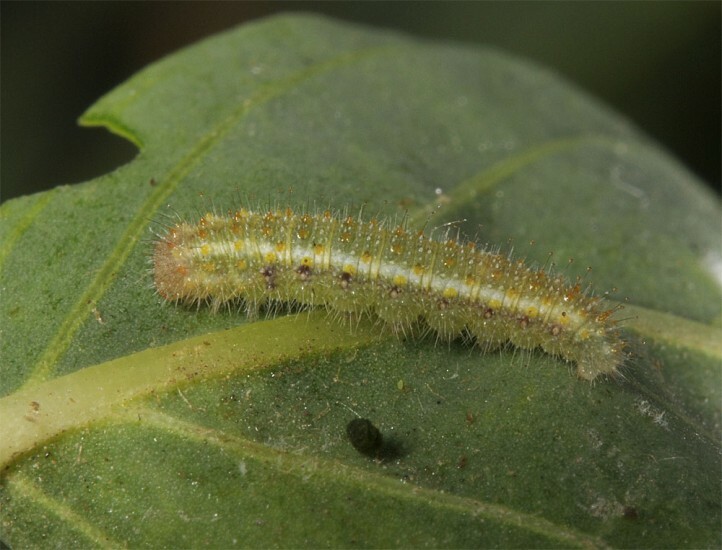 The young larvae most often live on the lower side of the leaves, but occasionally also on the upper side (presumably dependent on insolation) and are usually found on the youngest shoots. 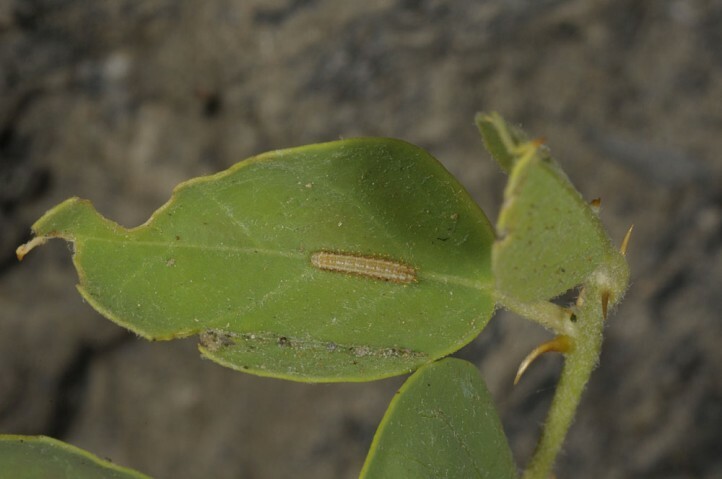 In the field, pupation should occur on stems higher above ground, but presumbly not on stones etc, at least in sommer, because of the heat. 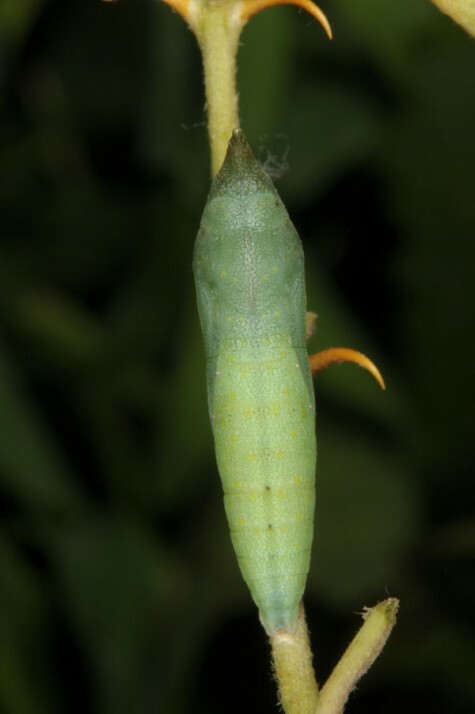 But there are no own field observations of pupae so far. 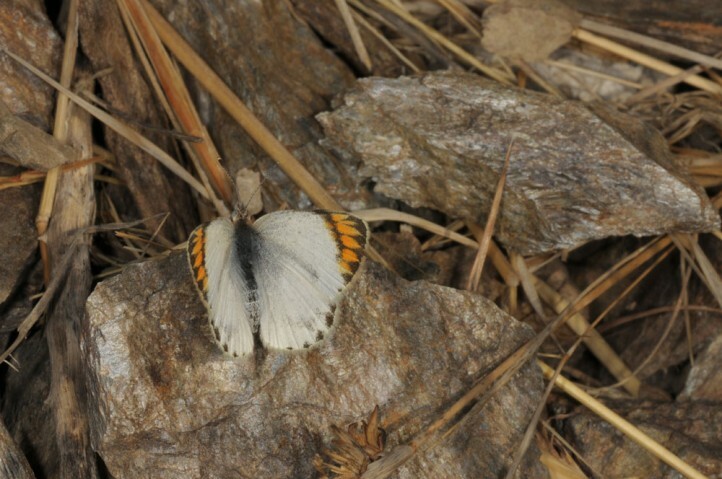 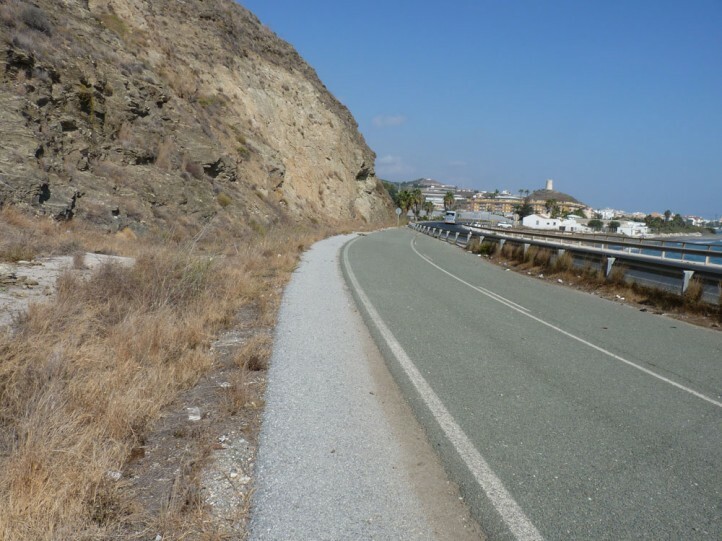 In Andalusia many potential habitats have already been destroyed by overbuilding or agriculture. 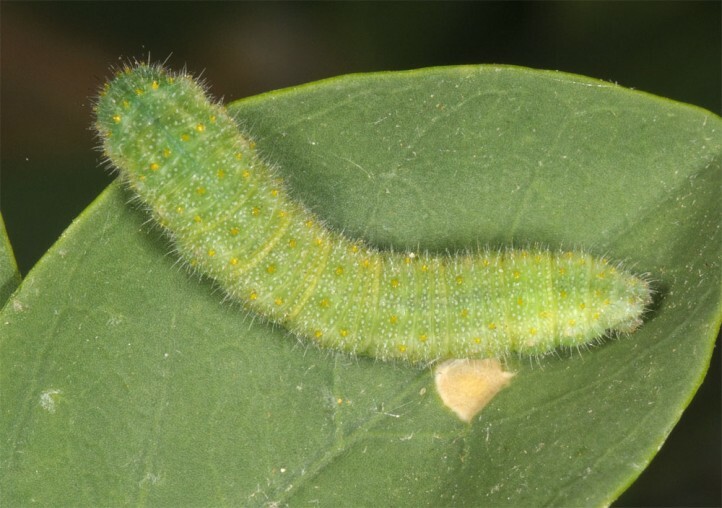 But sometimes Colotis evagore is capable to use even anthropogenic heavily influenced habitats. 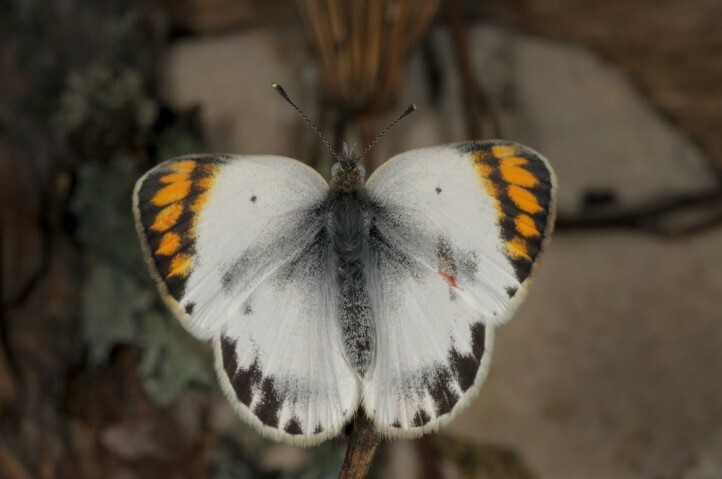 Colotis evagore occurs in NW-Africa, parts of E-Africa, the Arabian Peninsula and locally in S-Spain in the provinces of Cadiz, Malaga, Granada, Almeria and Murcia.